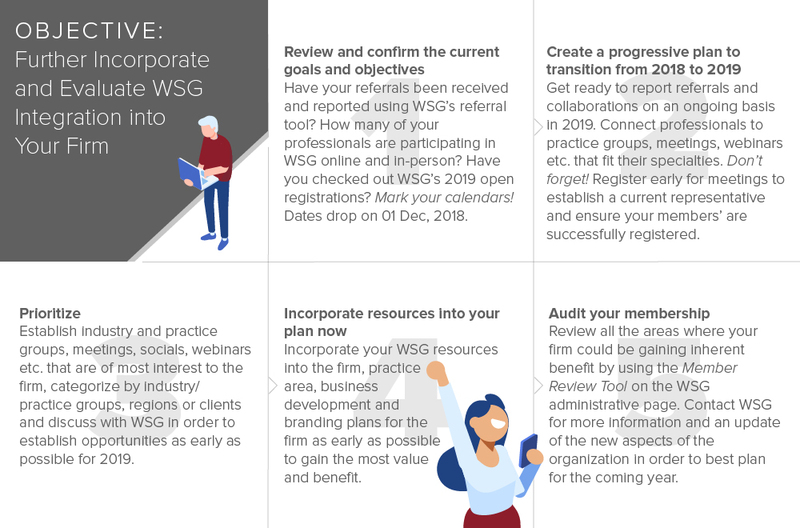 WSG offers members tools that provide beneficial value in elevating your firms brand and service capabilities. Our automation resources deliver simple and efficient ways to build your SEO index and to promote your global identity within the network and beyond. 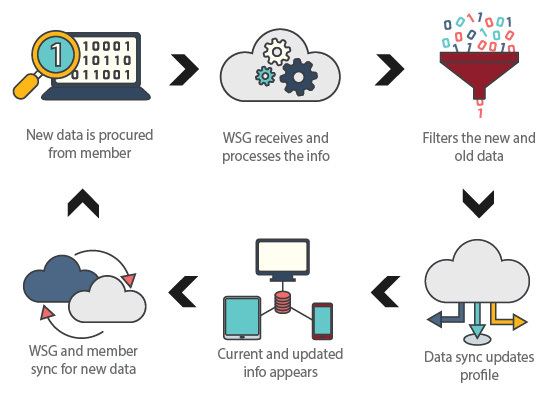 Our automated syncing platform keeps profiles current, accurate and searchable, while our automated RSS functions allow your firms publication content to be highly searchable and directly engaging. 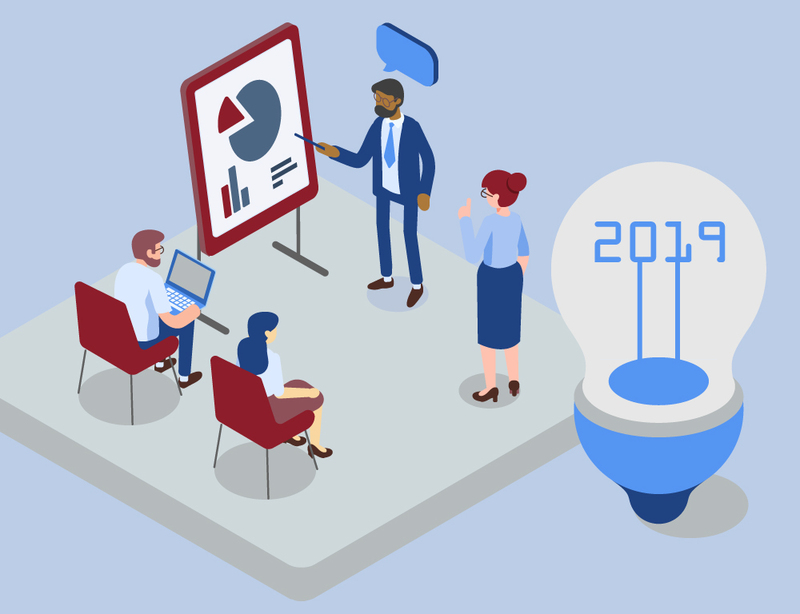 Like all things digital, trends become important channels of distribution faster than you can blink, and before you know it, there is one more thing you're being asked to do for marketing, that dreaded word. The thing is, they’re right. There is one concept today that all professionals understand with regard to marketing, and that’s the impact of word-of-mouth. Consider that today, social media is as or more powerful than traditional word-of-mouth marketing. If that’s true, then the impact of one-on-one networking is equivalent to the impact of consistent blogging on a specific subject matter. The more people you get know and the more you discuss and work on matters, the more trust and expertise you build, which makes you a trustworthy go-to expert. To keep that momentum going, you keep networking. Blogging is no different, it’s just digital. 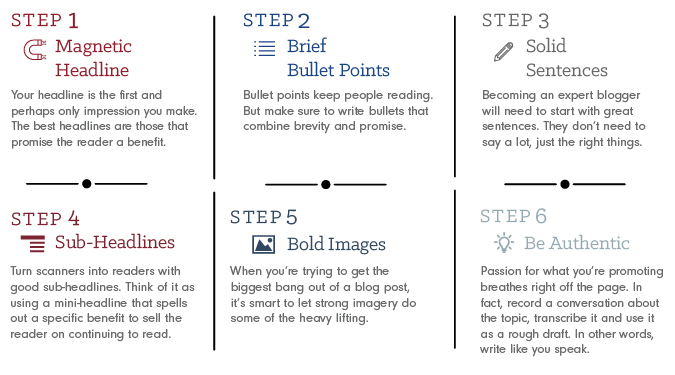 When done correctly, blogging can truly separate you from others that do the same thing in the same area at the same level. The reason…blogging is meant to be current and opinionated. By putting great analysis on the same information, you very quickly get considered to be an “expert”. This is no different than giving someone your opinion in person. Establish you as a thought leader in a specific area. Increase your credibility and visibility. Build awareness about your practice and your firm. Drive people to your firm’s website and increase SEO through reposting. Linkable: Include links, related articles, sources and other digital channels. Scannable: Break up text for readability, use images, headers, bold and appealing copy. Sociable: Respond to comments, engage conversation, give readers options to share. Searchable: Keywords, links and tags to improve SEO. How do you measure your marketing efforts? Let's break down what metrics you should track into these three categories. You probably hear a lot of talk about high growth. Usually, it is regarding the terms of what marketing techniques might contribute to high growth. But try and focus on what happens after you’ve decided on what set of marketing techniques you should use to contribute to high growth. And what we're talking about is how do you measure those? How do you know that you’ve chosen the right ones? Well, it’s all about metrics. And speaking of high growth, we find that firms that fit into that high growth category, on average, track 33% more metrics than their average growth counterparts. It makes sense when you think about why. Metrics are all about holding your strategies accountable, testing them and continually improving. Now, I think it’s fairly easy to figure out the how around metrics. You know, there are a lot of marketing automation tools and CRMs that help you with that. Some are free, some are not, but there’s a lot out there that helps you figure out the how to track. Really, when we talk with firms, they seem to be confounded with the why and the what, so that’s what I wanna focus on today. And when I talk with firms, I like to help them think about metrics in three categories, and that is visibility metrics, expertise metrics and what we call impact metrics. So, lets tackle the first one. Visibility metrics are metrics that really give you an indication of how visible you are in the marketplace. So, it’s pretty intuitive. There are three types of visibility metrics that are very impactful when accessing this. One is website traffic, but you wouldn’t wanna stop at just website traffic in aggregate. You would want to look at the different types of traffic. Direct traffic, organic traffic, referral traffic, social media traffic are just a few. Another type of visibility metric are social media followers by platform. Now, the reason this is an interesting metric to track is because we know from our other research how much social media plays in terms of driving visibility to you and your firm. So, tracking your followers by platform actually becomes pretty important. The last thing you can think about tracking when it comes to visibility metrics is your email list size. So, for those of you whose marketing plans have an email component to it, continually measuring the size of that list gives you a very good indication of how visible you are. Now, the other bucket of metrics to consider tracking are what we call expertise metrics. So, different from visibility, these are metrics that measure, how convincing are you, that you are the expert you say you are your colleagues are. Now, there are four areas within expertise metrics that you can consider tracking. One is around the content that you produce. If you are tracking metrics at all, you are likely tracking around some sort of content marketing. So, tracking things like downloads of your premium content, your white papers, your guides, tracking your blog traffic, those are very important in terms of understanding how convincing you’ve been that you are the expert. Second is around PR, and I’m not talking about press releases about a new office, or you hired a new partner. 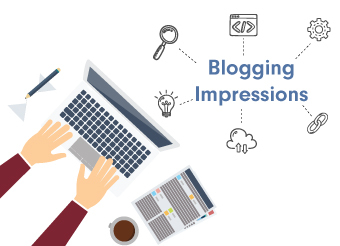 I’m talking about the type of PR that we call guest blogging or earned media coverage. Third is online endorsements. How often does your thought leadership get shared through different social media channels or inbound links that mention you and your thought leadership? And finally, speaking engagements. How often are you invited to be the keynote of particular conferences and trade shows that are important in your industry? So, each of those are important for understanding expertise. The third and final bucket of metrics that we like to have our clients focus on are what we call impact metrics. So, how impactful are the marketing strategies you’ve put in place to the bottom line of your firm? Now, there are several of these types you can track. One is simply inbound leads. How many leads are coming in from form fills? How many emails and phone calls are you getting from the efforts? You can track them back to the specific efforts. Also, just opportunities. What does your CRM say about the number of opportunities coming in to you weekly, monthly and from what source? You can also track proposals. How many? Cumulative value? Where are they coming from? What type? Same thing with wins. How many wins come from new clients, versus existing clients? And there’s two more that are important in terms of impact metrics, and that is simply tracking your firm growth and profitability. So, I just talked about three buckets of metrics that you will want to target when you’re tracking. And truth be told, every professional services firm out there has their own story, their own growth trajectory, their own sets of clients and prospects. So, the specific metrics you track may differ from firm to firm, but if you think in those three buckets you’ll be on a good way to measuring successfully. The last thing I wanna leave you with is figuring out, “Okay, I get the three buckets but what, specifically, do I need to track?” And there are four rules of thumb you can use when you’re figuring out what specific metrics to track. First and foremost is, the metric you select should be continuously available. This isn’t something that you want to start and stop. Secondly, the metric should have a low component of subjectivity. You want this to be as objective as possible, so that when you and your team are reviewing these you don’t start second-guessing the data. Third, you want the metric to be accepted by your team as relevant. So, if email marketing isn’t a big piece of your overall marketing strategy, you probably aren’t gonna spend a lot of time tracking open rates and the like, whereas another firm may. And finally, the last rule of thumb is that it should be easy to monitor. This is something that, if it requires a lot of energy in seeking out, and measuring and interpreting it, it probably won’t be tracked regularly. 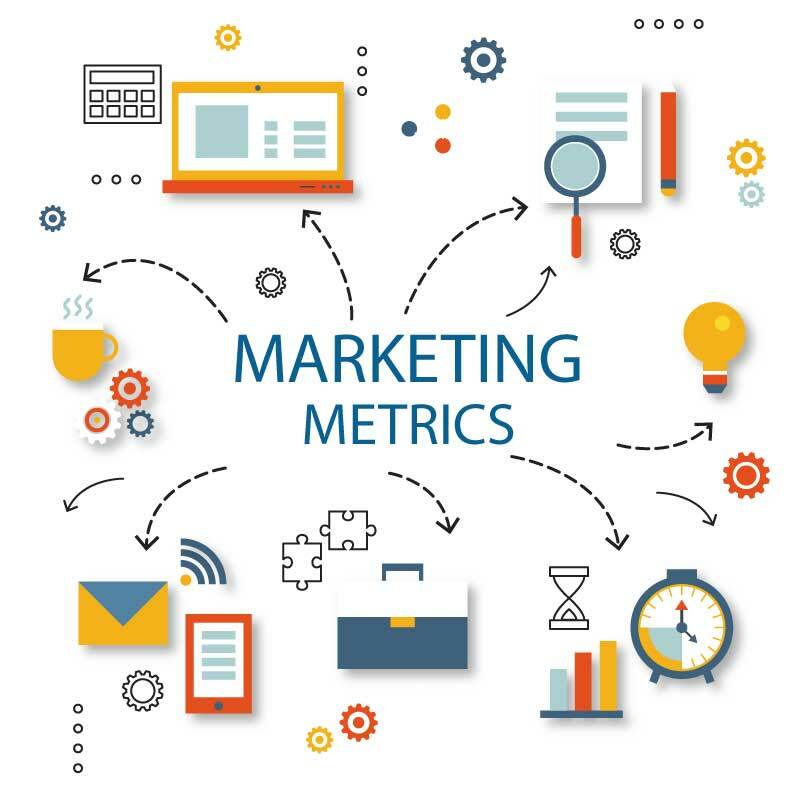 So, I hope that you will incorporate metrics in your 2017-2018 marketing strategy because it really is, far and above, the best way to hold your strategy accountable.